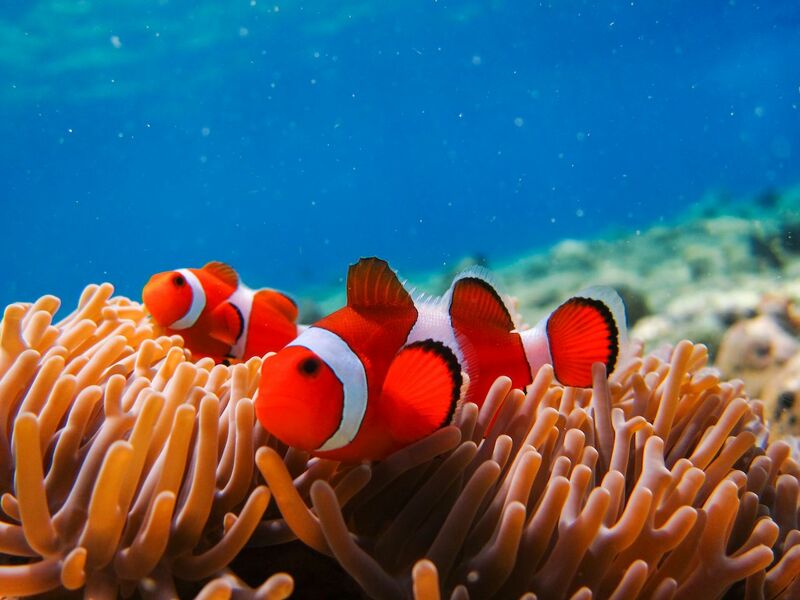 The diverse marine life, warm waters, and mild currents in Bali have been attracting underwater explorers for decades. Home to some of the world’s most fascinating sea creatures, including mola mola and whale sharks, and man-made underwater coral gardens, the island’s most unique diving spots are a world apart from the hustle and bustle of Bali’s tourist areas. Here are the island’s three best locations to take the plunge. The Pemuteran Village Marine Protected Area in northwest Bali is home to the world’s largest coral restoration project. Spread over two hectares, the underwater park started out as a small conservation venture to rebuild the reefs destroyed by dynamite and cyanide fishing. Today, it encompasses over 90 striking coral nursery sculptures that serve as an ideal setting for fascinating aquatic explorations. Masterminded by marine scientists Thomas Goreau and Wolf Hilbertz in 2000, the Karang Lestari reef restoration project uses Biorock technology to promote coral growth. 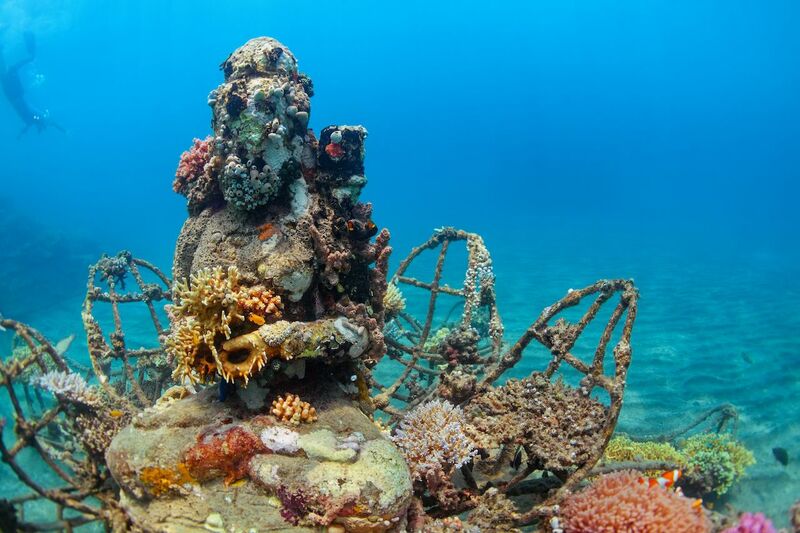 The picturesque statues in the area have been created by attaching broken coral pieces from nearby reefs to steel frames placed at the bottom of the ocean floor. Low voltage electrical current was then passed through the frames to accelerate coral growth. Today, the man-made structures support hard and soft coral, sponges, sea fans, and tunicates. The underwater sculptures also attract a huge variety of marine life, including catfish, humbugs, frogfish, and eels, as well as more unusual species such as Pegasus seamoths and fingered dragonets. While Pemuteran has around 15 diving spots, most of the coral sculptures are spread over a small number of locations. One of them is the Temple Garden Biorock project dive spot, which you can access right from the beach. The site features structures lined at depths between 50 and 100 feet, including a small temple complex, statues of Buddha and Ganesha, and an ornate Balinese gateway. A more recent addition to Pemuteran’s mini-gallery, the Garden of the Gods, was constructed in 2014. The diving site, which lies around 1,300 feet offshore, has been inspired by the Balinese legend of Dewata Nawa Sanga. The garden’s main attraction is a statue of Shiva sitting on the back of a turtle with various Balinese gods positioned around him. More accessible Biorock structures are also located around 300 feet from the beach, at depths between 10 and 25 feet. The USS Liberty shipwreck just off the coast of Tulamben in northeast Bali might just be the most popular diving location on the island. Built in 1918 as a cargo ship, the Liberty was used to transport goods and animals before it was fitted with guns and used as the USAT (United States Army Transport) Liberty. In 1942, the freighter was torpedoed by a Japanese submarine about 12 miles from the Lombok Strait. The badly damaged ship was towed to the port of Singaraja in north Bali for repairs, but the vessel took in too much water and ended up beached in Tulamben. The freighter was moored on the beach for 21 years before the eruption of Mount Agung pushed it into the sea in 1963. Today, the Liberty lies on a sandy slope just 100 feet offshore, making it easy to access from the beach. The hull of the 400-foot-long wreck, which is around 15 feet below the surface, is great for novice divers and snorkelers. Meanwhile, the shipwreck’s deck, at a 100-foot depth, makes an exciting playground for more experienced divers. Thrill-seekers can swim through the wreck’s large cargo hull, which teems with aquatic life. Around 400 species of fish are estimated to have taken refuge in the vessel, including barracuda, parrot fish, trumpet fish, and grouper. Rare species such as mola mola, whale sharks, and pigmy seahorses have also been spotted here. Located in West Bali National Park, a 30-minute boat ride from northwest Bali, Menjangan Island has been an international diving destination since the 1970s. The tiny island is famous for wall diving. The walls start at 30 feet before plunging to the depths between 85 and 200 feet. The walls — complete with caverns and overhangs — are covered with picturesque coral, gorgonians, and sponges. These, in turn, attract a large variety of fish, such as eels, pufferfish, wrasses, and groupers. 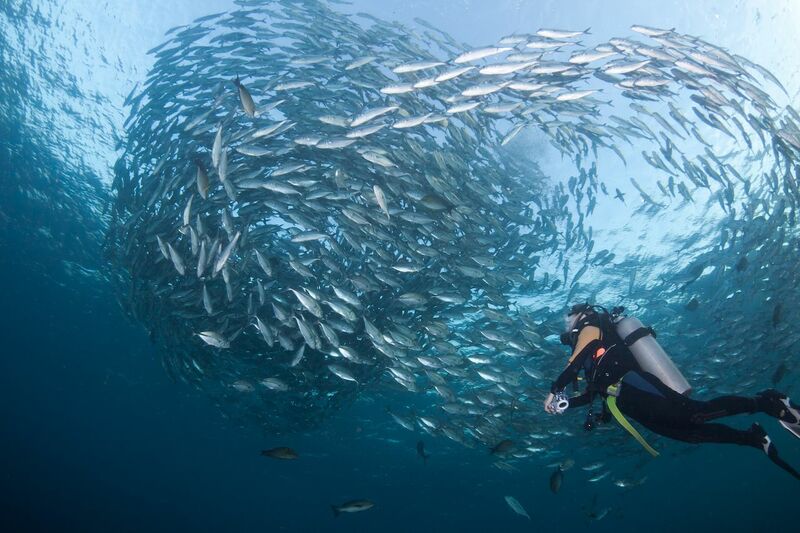 Around eight diving spots surround the small island, each full of abundant marine life. Anker Wreck, on the northwestern side of the island, is named after the coral-encrusted anchor that lies around 20 feet deep. It belongs to the 150-year-old wreck of a wooden boat that lies on the seabed at a 130-foot depth. While little of the wreck and its cargo remain, the tranquil area is packed with sand-dwelling creatures, nudibranchs, and gorgonias. Also on the northeastern side of the island, Eel Garden features a wall that goes down to a depth of 80 feet and ends in a shallow area populated by a huge colony of garden eels. Here you can sometimes spot large pelagics, such as turtles and whitetip reef sharks. Another interesting location is the Pos 2 Dive Site, where a gentle current takes divers down to 80 feet and along the wall to an upwelling of cold water that attracts turtles, manta rays, and mola mola.